The original Blackwing is a legendary pencil that was favored by a lot of famous authors and artists, but it was discontinued in 1998. In 2011, as people’s stockpiles were dwindling and prices on the secondary market were surging, the Palomino company got hold of the trademark and began to reproduce the pencil as best they could, calling it the Palomino Blackwing. 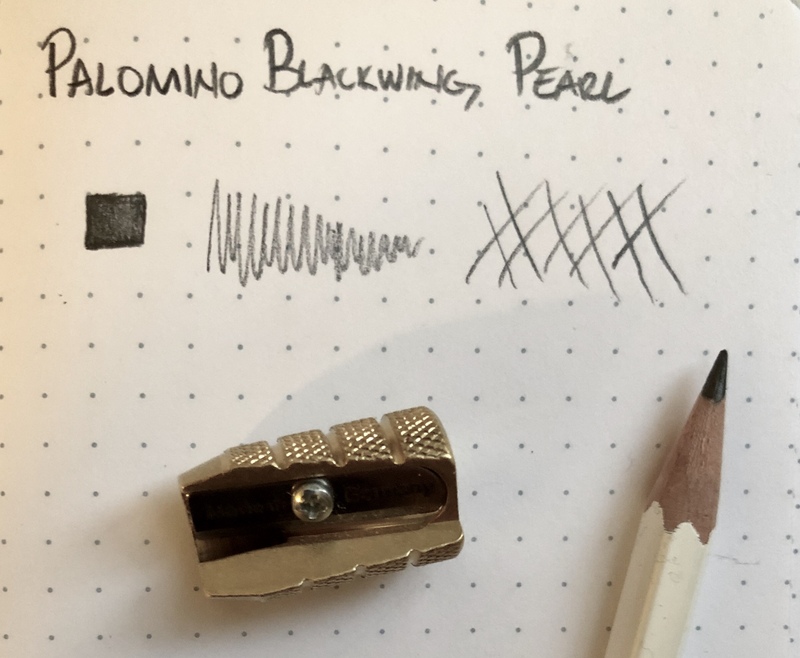 Since then, Palomino has been fiddling with the formula, and this pencil, the Palimino Blackwing Pearl, is a version made to have slightly softer graphite. Though, it still manages to produce a medium-dark line. Also, as the name suggests, it substitutes the original black paint job for a white one. I’m no pencil expert, but the Blackwing Pearl feels like an upgrade from your standard woodcase pencil. 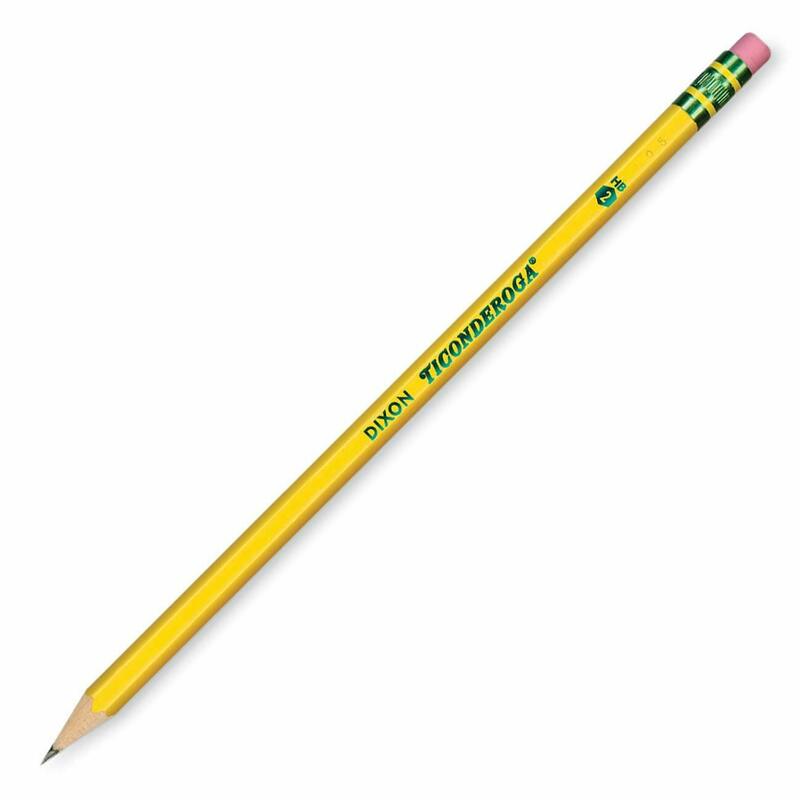 Part of it is aesthetic – the signature Blackwing ferrule and eraser look pretty classy, despite it looking a bit like a #2 Dixon Ticonderoga had its end caught in a metal press. The graphite also feels like it hits the page cleaner and smoother than I’m used to. And did I mention that you can pull the eraser out further as you use it up? Amazing. There are a lot of pencils out there, and I haven’t used too many of them. So take this for whatever its worth: the Palomino Blackwing Pearl is darn good. The quality of this product is obvious as soon as you pick it up. So, if you’re looking to upgrade your pencil experience, then try the Pearl out. The review over at Woodclinched mentions that the pen would look a lot nicer if it had a steel ferrule, rather than a brass one. I definitely agree. The review over at Well Appointed Desk notes that the softness of this pencil is good for writing and sketching interchangeably. Lots of good pictures on that review too. In case you’re wondering, I used the Alvin Brass Bullet pencil sharpener. Small and handy!